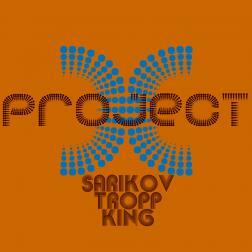 My contribution with the rhythm section of Alex Sarikov and Klaus Tropp. All tracks recorded via wikiloops.com from each musician’s original location. Thanks to them for these excellent performances and thanks to Richard Kaiser of wikiloops for providing a wonderful platform for musicians worldwide to collaborate. I came across this top album thanks to TeeGee. I am enthusiastic about this music, every track masterful. Collected in the album you can enjoy the fantastic style and skill of King. I admire this very much and I am glad that there is something like that in Wikiloops.